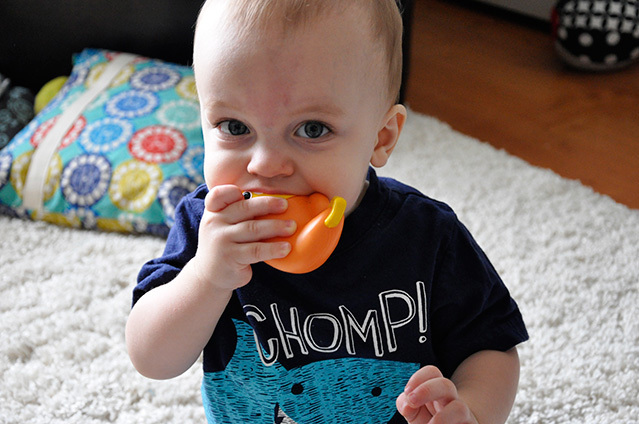 Abram loves eating his bath toys, too! They are, by far, his favorite things at the moment. Too cute.